« My Iphone Cases. Victoria’s Secret, Marc by Marc Jacobs, Iro, SwitchEasy. Review! That’s is why shopping is not quite fun for me without checking out such stores as Topshop, Asos (they only have online version) and River Island. At Asos they offer many Uk brands, that sometimes are very good deals.However, I find that purchasing US brands from Asos is not reasonable – prices are too high most of the time. This time I purchased three items. 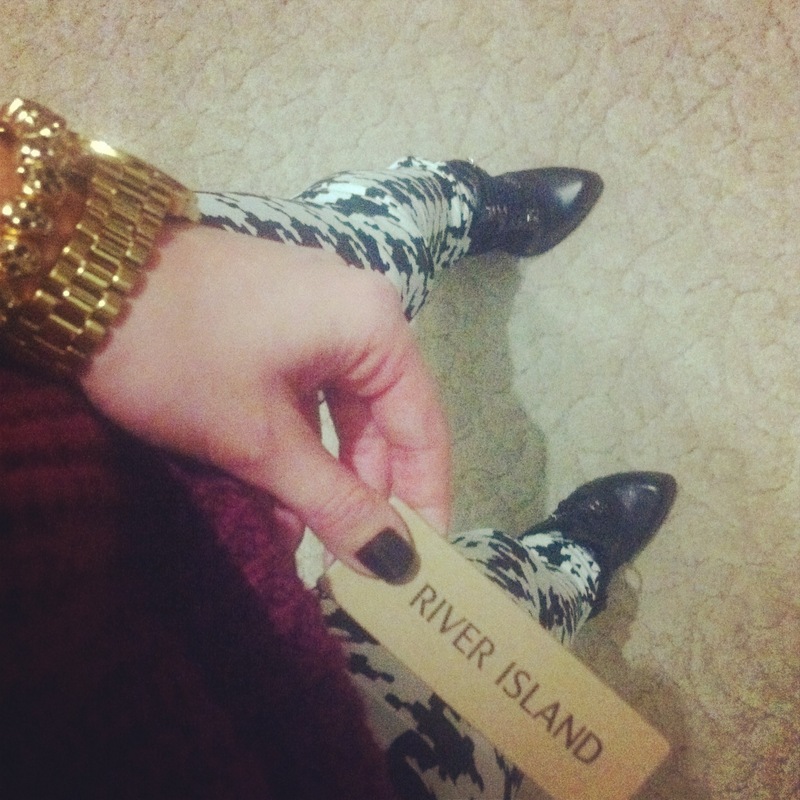 These dogtooth print jeans from River Island I got on sale. The photo is from asos.com if you are wondering. I find that no other jeans fit me so well as River Island and Mango jeans do. So whenever I want to purchase jeans online I get them from RI (my size is 6) or Mango (I wear 32). They always fit me perfectly. 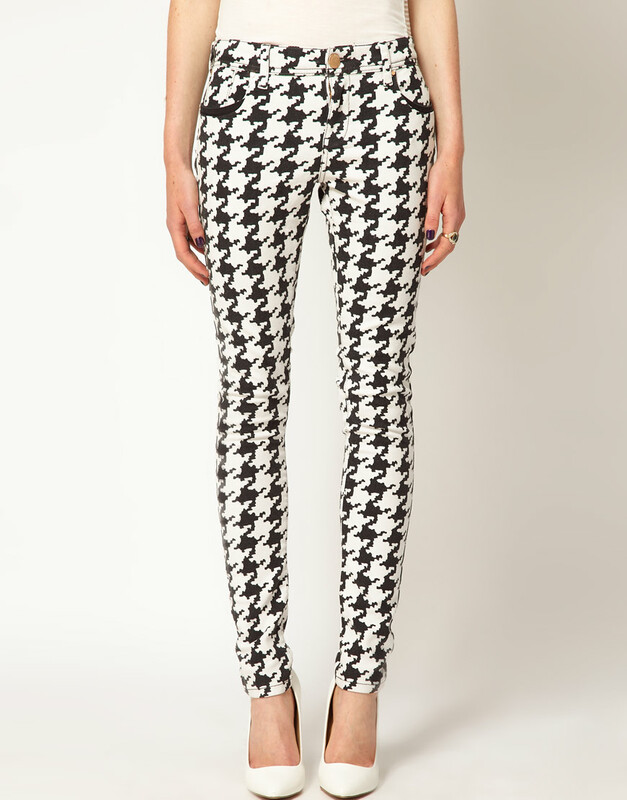 These lovely pants have gorgeous dogtooth print and they are so soft! Very good quality! Moving to the part, when I got it, I was really excited first. Then I realised it was NOT at all cotton! But it definitely wasn’t fault of Asos team. The tag of this jumper said 100% cotton, but I can tell it was a big lie. I have a couple of cotton sweaters from Mango and they all feel so much different. 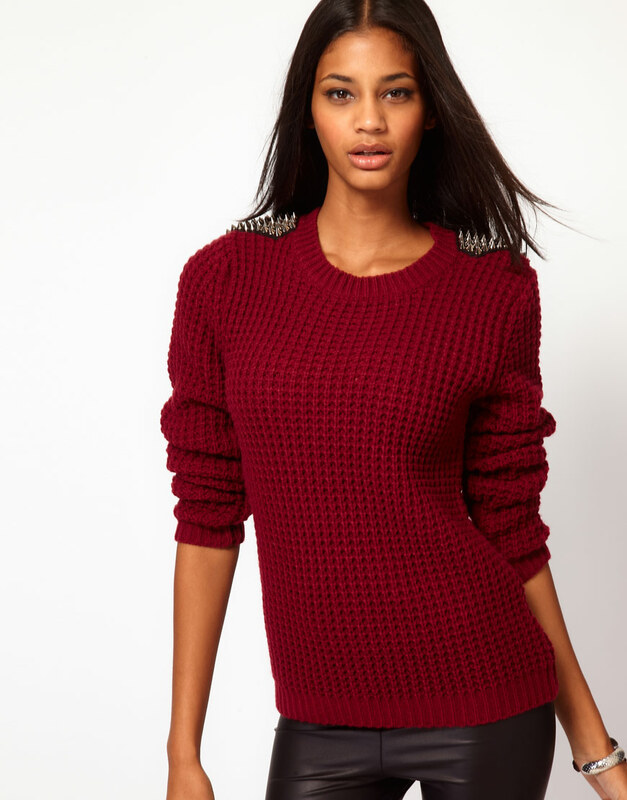 Plus, when I tried this burgundy sweater on, my hair started acting crazy -it became really frizzy!!! After all I am happy I kept it, but this is definitely the last time I am buying something from Oh My Love brand. It’s not nice to lie about the fabric! 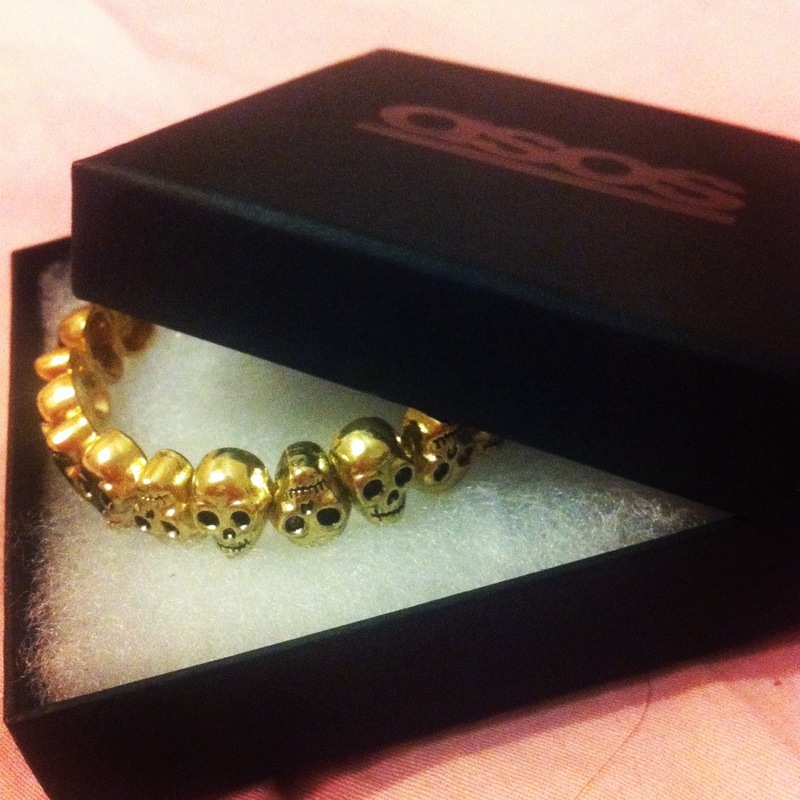 This lovely little skull stretchy bracelet was originally only $14. And I love the packaging too. I love this oversized watch from Paul’s Boutique and I wear it most of the time. 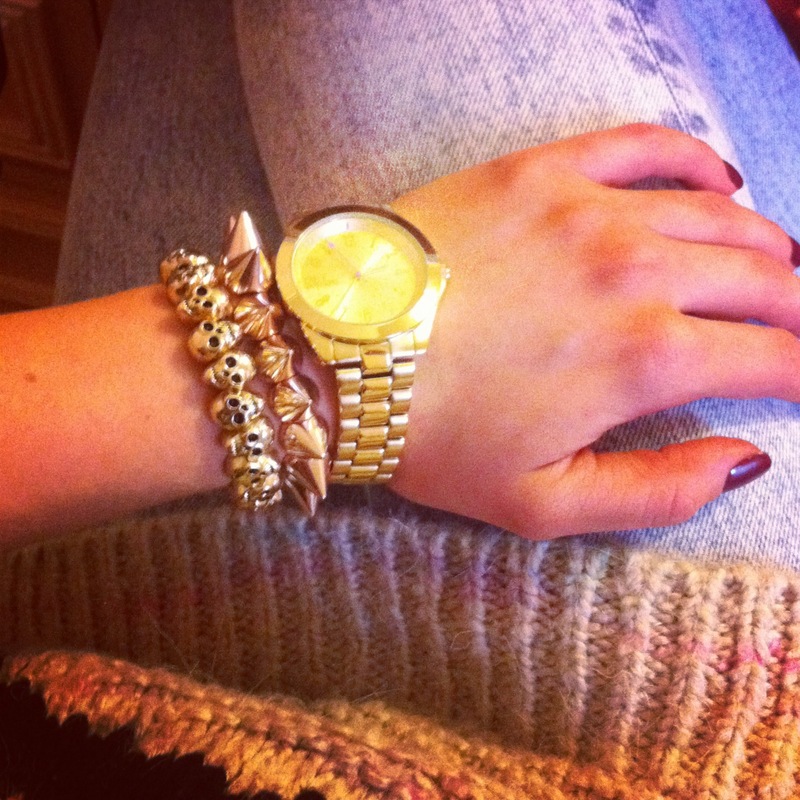 I lam obsessed with the combo of this watch with this spikey and skull bracelets, both from Asos. The sweater I am wearing on this photo is from Topshop, the acid wash jeans are from Lee. This is the photo I posted on Instagram the day I got my parcel. Overall, I am satisfied with the items I got. If you are wondering about the price, the order was around $100, but because they had 20% off discount code that day, I only payed $80 for this package, which I think is a very good deal. What do you guys think about online shopping? What are your favourite online stores? Wow. I love the printed jeans! I am starting to appreciate online shopping and it sure makes our lives easier.